Maia Aziz, Social Worker (PSW) and Certified Humor Professional (CHP) writes and speaks on living a life of love and laughter. Assistant Administrative Chief of Allied Health Services at the Montreal Children's Hospital, contributing writer to The Positive Psychology People and active member of The Association for Applied and Therapeutic Humor, Maia spends her Sunday mornings sharing 3 of her favorite things with someone who is out there pushing the positive- a fresh cup of coffee, a heartfelt conversation and some spontaneous laughter. These are conversations about love, laughter, leadership and well, life! 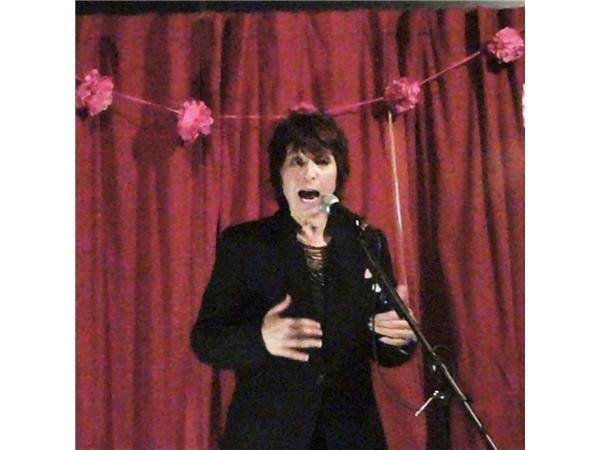 Jude Treder-Wolff is a writer/performer, psychotherapist, storyteller and improviser. She has been a featured in shows all over the New York area, and speaks on the topic of Transformative Storytelling for conferences and events, most recently at The National Association of Social Work 2016 conference in Albany, NY, and the 2015 Applied Improvisation World Conference in Montreal. Her solo storytelling show Crazytown: My First Psychopath was selected for the 2013 Midtown International Theater Festival and the 2012 Chicago and San Francisco Fringe Festivals and has been performed at Actors Theatre Workshop and Broadway Comedy Club in NYC among others. Jude has been published in the International Journal of Arts & Psychotherapy and has been featured in numerous news outlets including New York Newsday, Chicago Tribune, LA Times, Women's Day, and the New York Daily News.